¡Ex Police officer shot at his wife in a jealous rage! 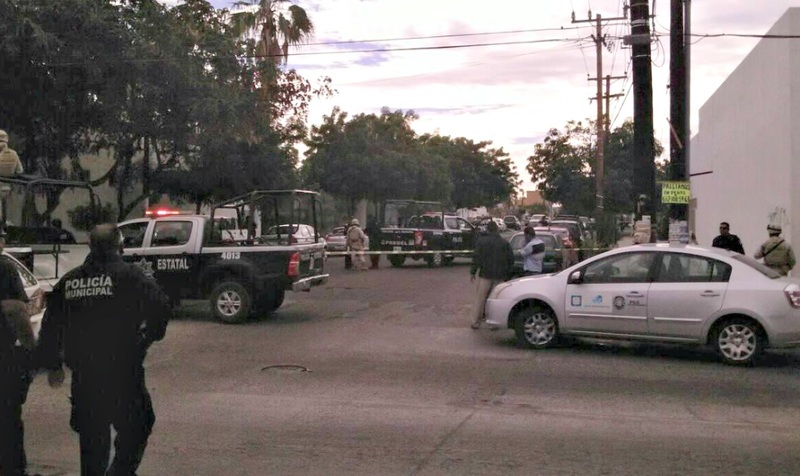 LA PAZ, MX.- A woman was shot by her ex partner on the street Lic. Primo Verdad between Melchor Ocampo y Nicolas Bravo, the victim is 33 years old identified as Manuela Madrid Sandoval. Manuela Madrid was moved to the hospital of this capital, she presents shot wounds in the breast and top of her lip, as well as a splinter in the right hand, it is known that her state of health is criticized with private prognosis. Siguiente Mujer herida de bala por su pareja sentimental, atacante era un ex policía.